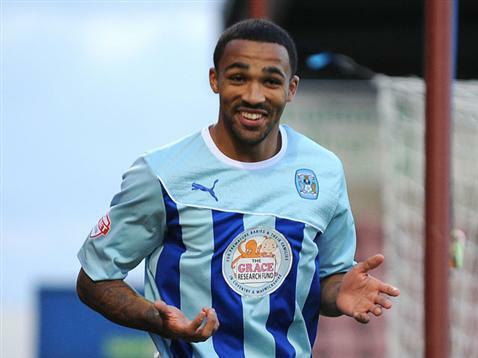 Wilson, 22, has had an outstanding season for the Sky Blues, hitting 22 goals, of which 21 have come in the league. Before this season, Wilson had only found the net once in 16 Sky Blue appearances. This is all despite missing three months after suffering a dislocated shoulder on New Year’s Day in the win away at Rotherham United. Champions Wolves dominate the squad with Carl Ikeme in goal, Danny Batth, Samuel Ricketts, Kevin McDonald and Bakary Sako included, but unsurprisingly, there’s no room for 2012/2013 inclusion Leon Clarke, who hit 15 goals for City before switching to Wolves in January where he has found the net just once since. Speaking to the club’s official website, Wilson described it as the biggest personal achievement in his short career so far. “When I got the call from the PFA it was a surprise because being out for two months this season meant the idea of being included didn’t even enter my mind. “I was concentrating more on short term goals but when I got the call I will admit it was very proud moment because this has been the first real season where injury hasn’t held me nack in ways that it had done before this year. “Last season I missed a big part of it through injury but I kept fully focussed on this season by coming back for pre-season a few weeks early and doing sessions every day of the week to make sure I was fit and healthy for this season. “When players come back for their first game of the season, the last game of the previous season is always the one that is on the mind so it’s important we finish on a positive. “It will bode well for next season if we can get three points against Sheffield United because it gives us confidence that we can results and that will give us a good springboard. “It will be interesting for me personally as well because United defender Harry Maguire will be playing and he also got in the Team of the Year so it will be good to go up against him.